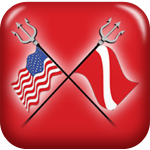 Disabled Veterans Restoration thru Recreation Scuba is driven to show the world an alternative form of therapy for the Disabled Veterans. With this form of therapy we will reduce the number of opioid addictions, and lower the suicide rate. Along with the many wants and desires plagued by so many of America's Hero’s, patients suffering from the awful debilitating effects of PTSD, TBI, COPD, Amputees, Blind, Paraplegia, Quadriplegia, Spinal Cord Injuries and Disease we will be able to offer them an opportunity to enjoy the awesome underwater world. While underwater our Heroes will be able to experience the full effects of our therapy along with the mental and physical freedom. We have the means and all you need is the passion for our underwater therapy and the freedom it has to offer. We strive here at DVRTRS to put a smile on your face and joy in your hearts, through our therapy/ diving program.at no cost to you “My Hero.” Being a Disabled Veteran of a foreign conflict and a Cancer patient gives me the passion and pay back for all that helped me.